How can radiant heat kill termites? 1 How does heat treatment for termites work? Heat treatment for termites is a non-chemical, non-toxic alternative way of pests’ eradication. This article is devoted to the different methods of heat treating: spot and whole house, diy and prof, and to the advantages and disadvantages of this way of termites’ extermination. How does heat treatment for termites work? Wood pests and other insects are very sensitive to high temperatures. To our great surprise, the sufficient temperature for termites’ fatal effect isn’t very high in fact. Lethal dose of heat for termites is about 120° F. The higher the temperature (140° F) is, the less time is required to exterminate wood pests. Termites die exposed to the maintained radiant heat of 130° F for an hour. Taking into account the damaging capability of high temperatures, you can perform the heat treatment for termites on your own. Inspect your home and yard for the signs of wood insects’ presence. Self heat process to kill termites is available only for the “fresh”, active and limited drywood and subterranean infestations. If you have the signs of subterranean termite invasion in your yard or garden, dig out a trench in this area and leave it exposed to direct sun heat for some days. This method is not likely to be very effective, as some zooids will die, others will be able to flee. In this case, supplementary treatment with termicide solutions is required. If you detected the signs of drywood, dampwood or subterranean termites’ activity in items of smaller size, for example, in cardboard sheets, paper, frames, pieces of furniture, books, you can as well exterminate these wood pests yourself with sun heat. Bring this goods out during the hottest summer days. The radiant heat and termites are incompatible. The direct sun light will hot up the items to the insect lethal temperatures of 130° F (or 60° C). About two days of heat exposure will be enough for the termites eradication. We’ve also heard about the treatment of books, paper piles, picture frames in electrical ovens and microwave ovens. In fact, we can’t really evaluate the efficacy of this method for termite eradication, but those, who applied, are satisfied with the results. The homeowners set up a temperature of 150° F for half an hour and heat kills drywood and ground termites. In case of large infestations of known location, pest control professionals recommend an eco-safe alternative to the gas fumigation known as the heat treatment for termites. It is one of the best methods of elimination of these wood insects. This treatment requires a trained and licensed prof to operate a heat blasting process. The pest control professional service inspects the interior and exterior wood structures to detect termite-infested active areas. When the wood pests are identified, thespecialist offers the homeowners the ways of termite extermination and develops a heat treatment plan. He also gives recommendations how to prepare your house to the heat treatment for termites. The homeowners are told what temperature-sensitive furniture and appliances to disconnect and remove due to the risk of damage. You must leave your home for about 4-8 hours during the heat treatment for termites. Pets, children and home plants must be also brought away. Heat tenting specialists cover or tent a building or infested wood structures with nylon tarpauline. 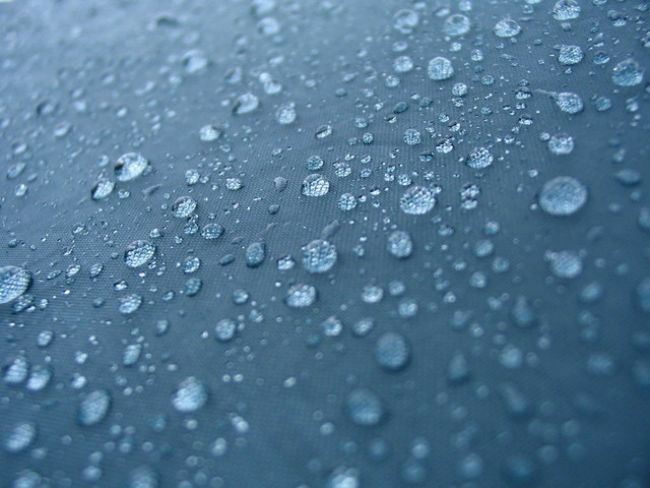 This material is strong, flexible, water-resistant or waterproof. Operators install thermosensors in different locations to maintain constant temperature of 130° F within the structure. Then they connect propane heat to the tarp tent and blast it into the structure. High temperature hot up the walls inside and outside to 130° F for an hour. The room temperature rises to about 150° F. This method is also known as the termite heat fumigation treatment. After all the necessary measures are taken and the equipment is set-up, the professional operator uses a special heater and blows hot air stream through the holes and cracks in the walls throughout your home. It is required to expose the areas, where drywood and soil termites feed, to a temperature level lethal to wood pests. 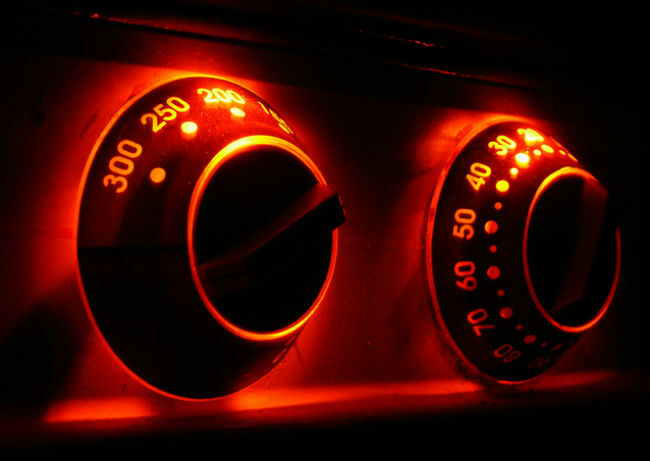 Heat gun and hot air blast raise the air temperature up to 140 – 150 degrees Fahrenheit. It is sufficient for maintaining the temperature of 120° Fahrenheit within infested wood structures for half an hour to exterminate termites properly. For small, local, limited infestations of termites in the items (furniture pieces, books, picture frames), the specialist can use a special heat chamber. The operator puts the goods into the enclosed chamber for an hour and maintains the temperature of 140° F.
This way of heat termite extermination is the most effective for active infestations in accessible lumber. It is an environmentally-friendly method, which doesn’t leave any toxic residue. The homeowners can return home immediately after treatment. Unfortunately, this heat process for termites doesn’t provide protection against possible reinfestations in the future. Some caste members can flee from the heat if the treated area is of small size. For this reason, prof pest service will offer you supplementary non-chemical and chemical termicide application for residual effect. Also take into account that your house and furniture can be sensitive to high temperatures and won’t be able to withstand heat.